Lee Harvey Oswald in 1959, the year of his short-lived defection to the Soviet Union,. Four years later he would murder President John F. Kennedy. This entry was posted on November 11, 2013 by DaveD. 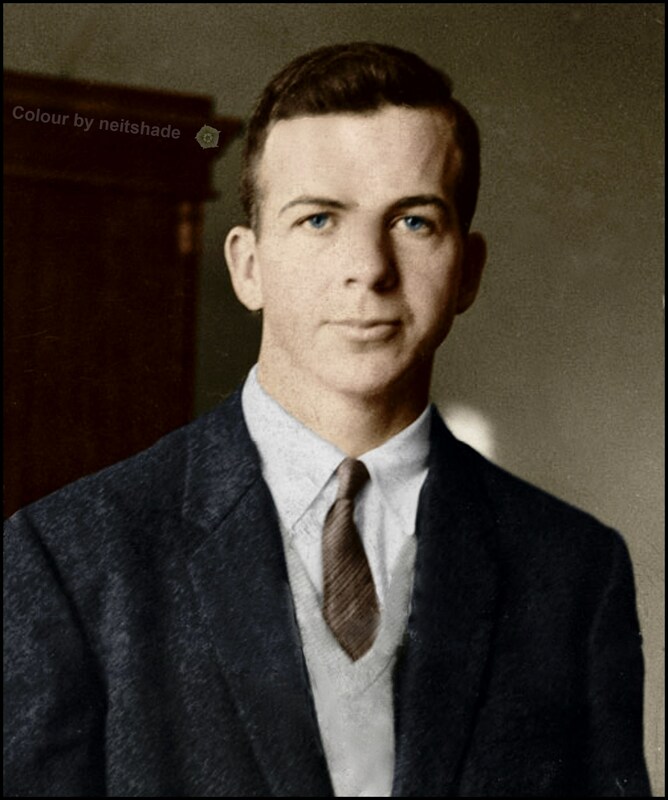 It was filed under Movers & shakers, Mug Shots and was tagged with colorized, colourised, JFK, John F. Kennedy, Kennedy, Lee Harvey Oswald. Beautiful colouring, it really brings him to life. would you consider adding the word ‘allegedly’? He was never convicted of the crime.